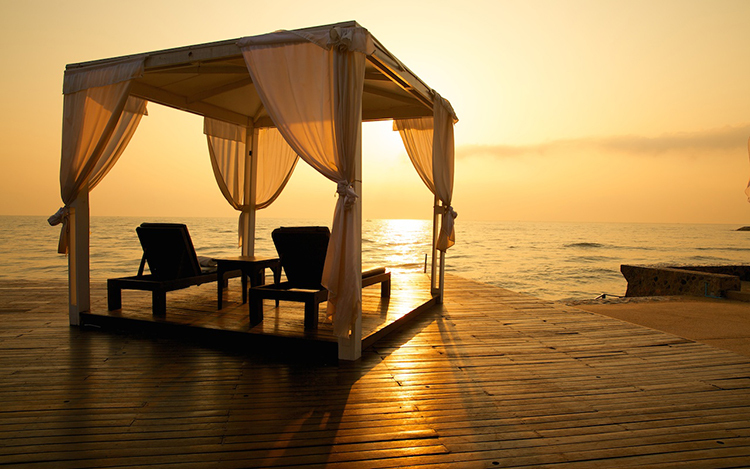 Hua Hin traces its aristocratic roots to the 1920s when Rama VI (King Vajiravudh) and Rama VII (King Prajadhipok) built summer residences here to escape Bangkok’s stifling climate. 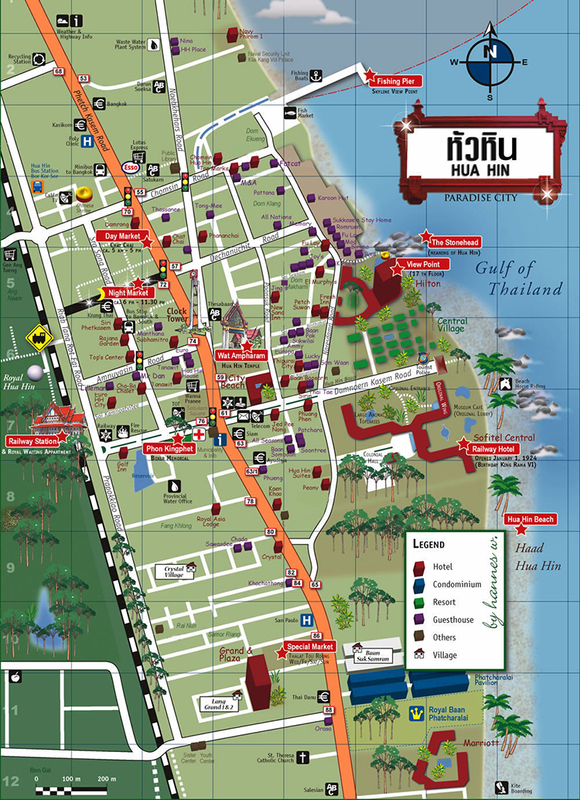 The most famous of the two is Phra Ratchawang Klai Kangwon (Far from Worries Palace), 3km north of town and a royal residence until today, so poetically named that Thais often invoke it as a city slogan. 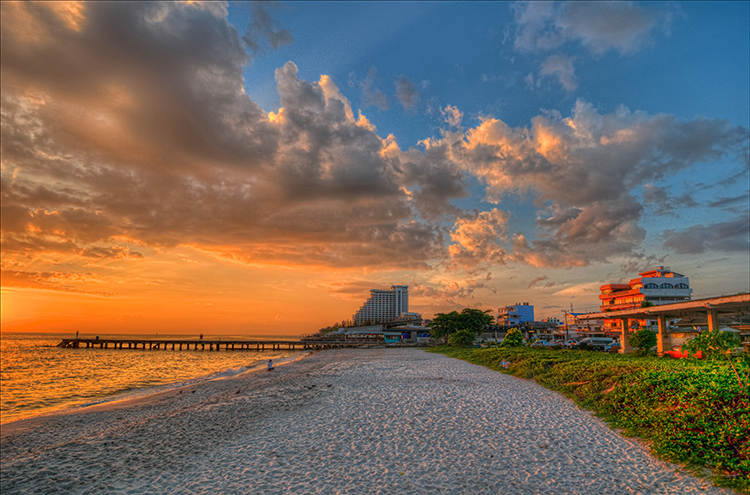 Rama VII’s endorsement of Hua Hin and the construction of the southern railway made the town the place to be for Thai nobility who built their own summer residences beside the sea. Thailand’s original beach resort is no palm-fringed castaway island and arguably is the better for it. 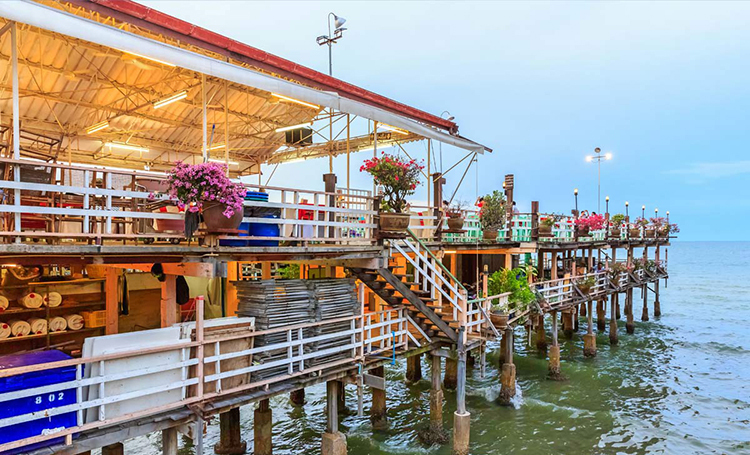 Instead, it is a delightful mix of city and sea with a cosmopolitan ambience, lively markets, tasty street eats, long beaches and fully functional city services (meaning no septic streams bisect the beach unlike in other places). 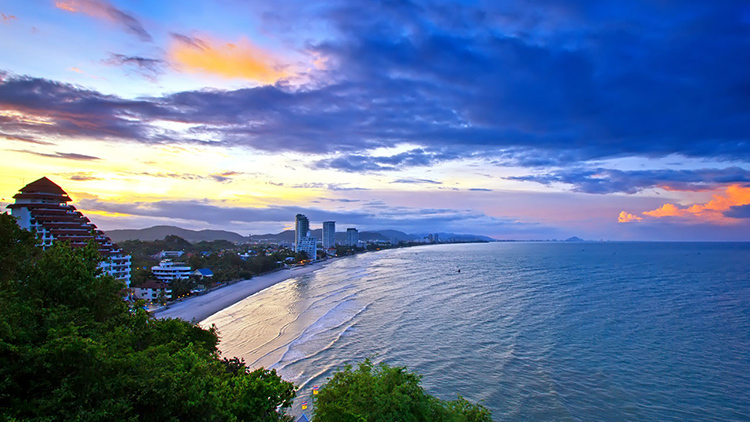 For many years, Hua Hin has been regarded as one of the best golfing locations in Thailand. You will be spoilt for choice here, as there are 8 top quality courses all within a 30 minute drive of the town centre. 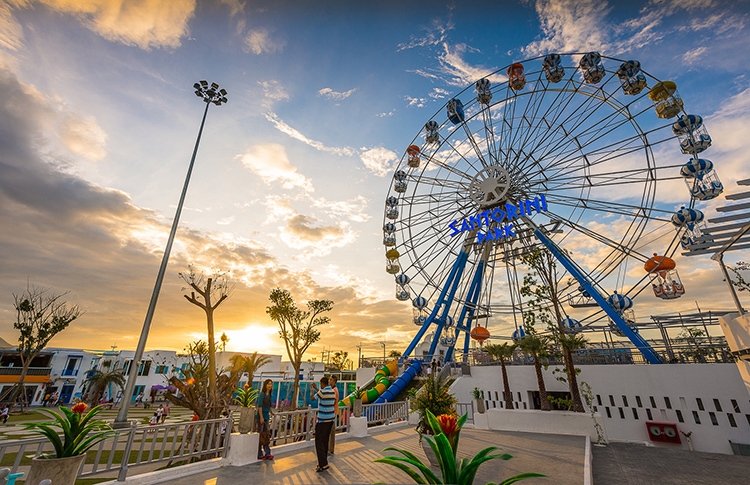 Santorini Park brings a slice of the picture-perfect Greek island to Cha-Am. 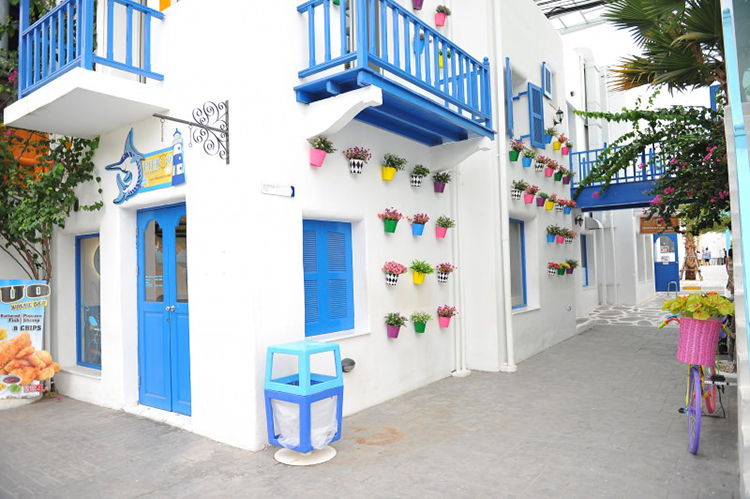 It’s got all the details right, from classic whitewashed buildings, colourfully painted windows, down to stone-paved paths and domed towers. An impressive lineup of shops, restaurants and an amusement park promise good times for everyone. 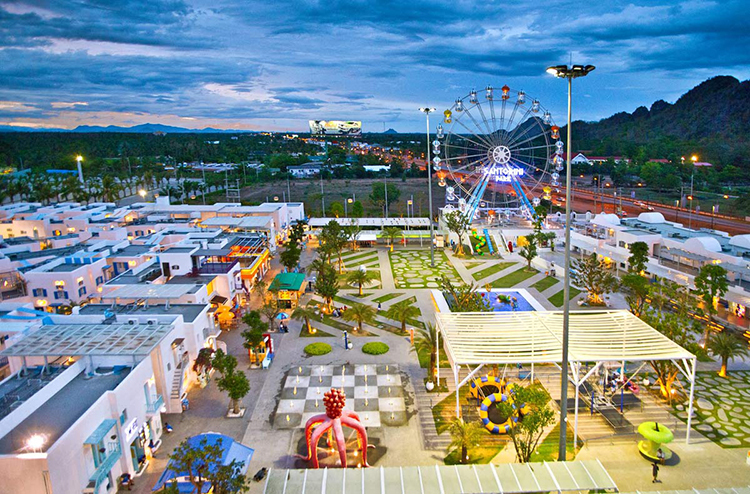 This photogenic outdoor entertainment outlet occupies an expansive area just before the main highway reaches Cha-Am Beach. It’s quite an unusual sight, given the whitewash theme and architectural style that sets it apart from its surroundings. Cliff-top views of the ocean and a sweeping beachfront are the two missing elements that would otherwise make this place closer to the real thing. 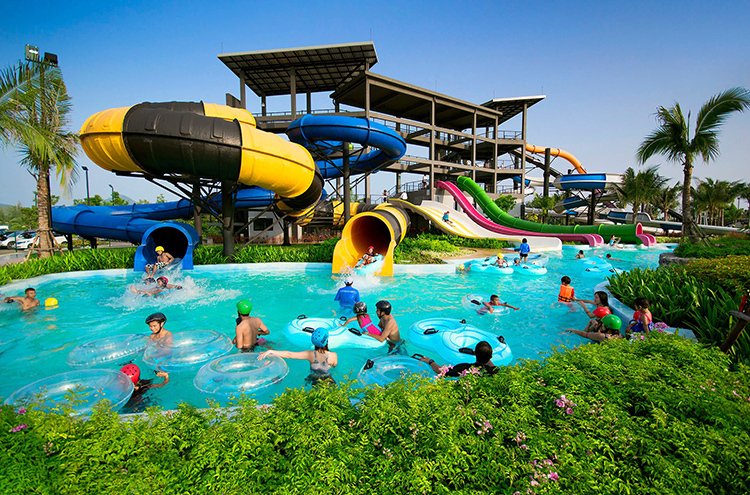 Black Mountain Water Park offers a fun-filled day for families and anyone needing a big splash. 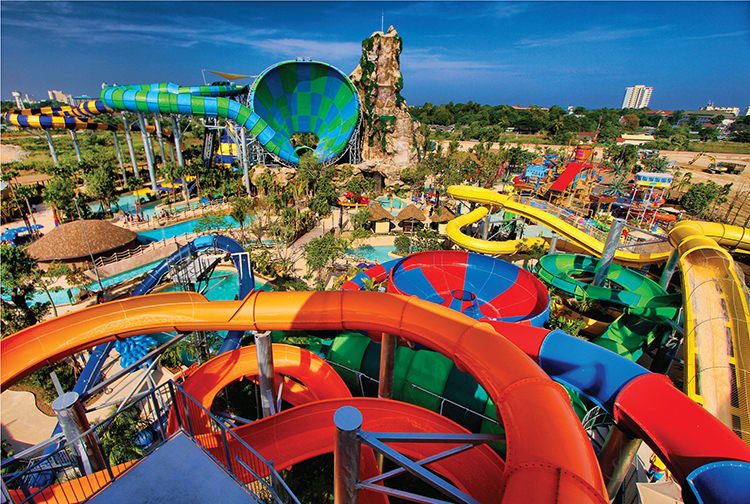 The park features nine different water slides, a wave pool, lazy river, beach pool, kids’ pool, and more – all set on a vast mountain-hugged landscape fronting a main-made lake just 10km north of Hua Hin. 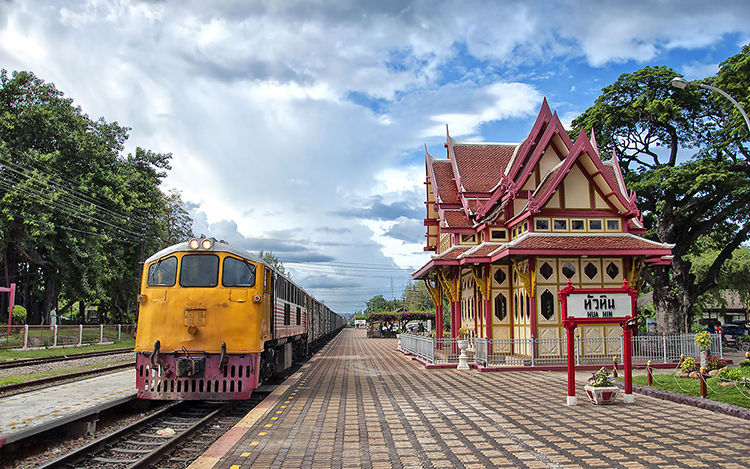 Hua Hin’s popularity began to increase in the 1920’s as the railway line from Bangkok was constructed and King Rama VI built Klai Kangwon Palace as a summer retreat. 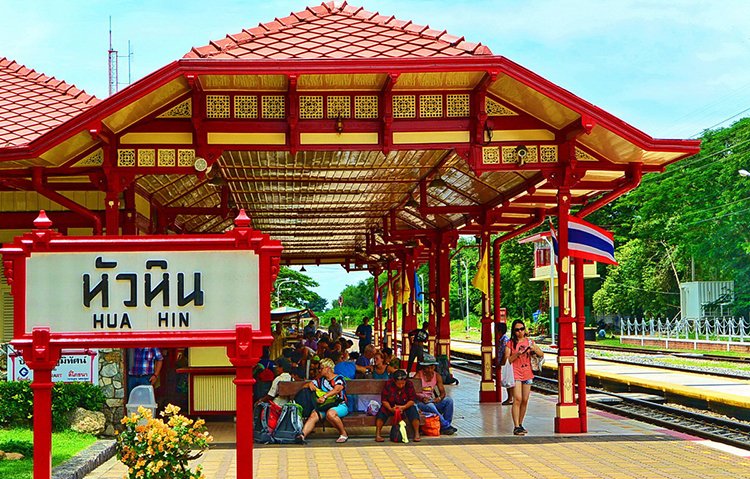 Hua Hin’s station is one of the oldest in Thailand and its main feature is The Royal Waiting Room that used to welcome King and his court when they were visiting the town. 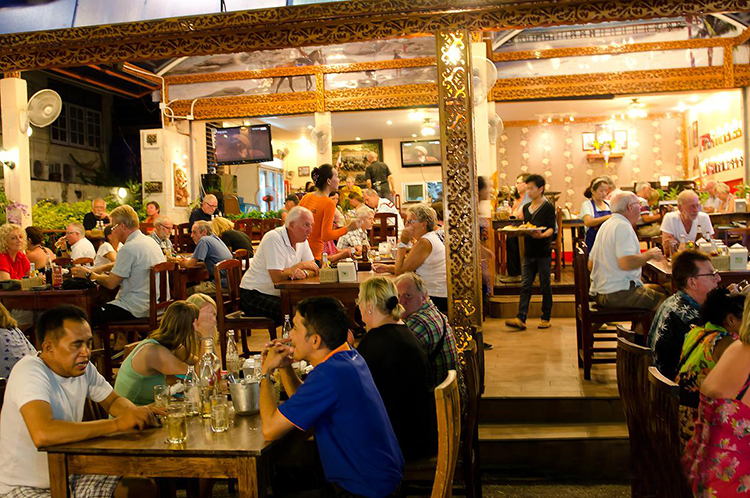 Dining out in Hua Hin means enjoying a great meal in an idyllic atmosphere, rather than indulging in a fine-dining experience. 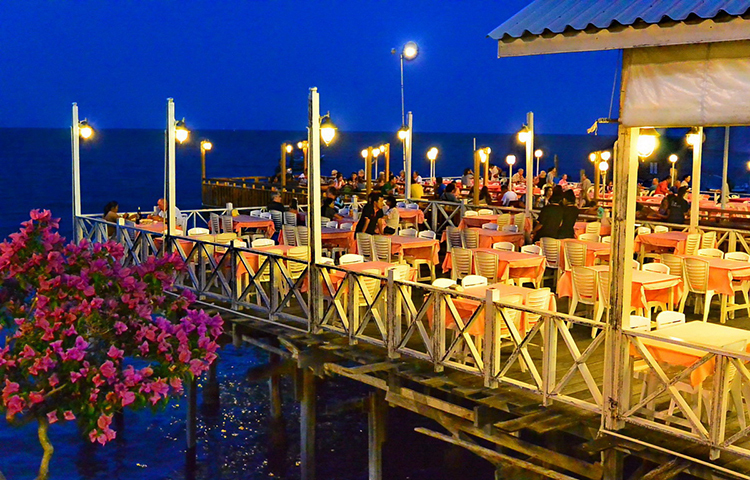 For many holidaymakers from Bangkok, seafood is the main reason to embark on a weekend trip to Hua Hin, and they are absolutely right.